Oh no! Zaks the evil wizard has once again captured Dizzy's girlfriend, Daisy! The other yolkfolk need help too, looks like another adventure for Dizzy! 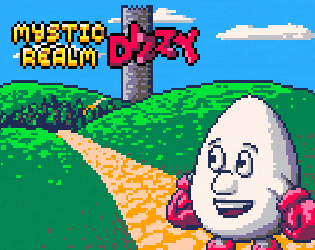 I wanted there to be a Dizzy game for Pico-8, so now there is! It's beta right now but should be fully playable. Heads up though; I've tried to be faithful to the classic Dizzy games - that means limited lives, rubbish platforming, cheesy dialogue and a kidnapped damsel. This game was made using the wonderful Pico-8, the forum thread for the game is here.